A judge in Belfast is being asked to settle the long-running controversy over the name of Northern Ireland's second largest city. Derry or Londonderry is the issue to be decided at the High Court by Mr Justice Weatherup. Derry City Council is seeking a declaration requiring the British government and Northern Ireland's Department of Environment to recognise and accept the council's view that the name of the city is Derry. The department has suggested that such a change would require a petition to the British sovereign to amend the name established in a Royal Charter granted by Britain's King James I in 1613. 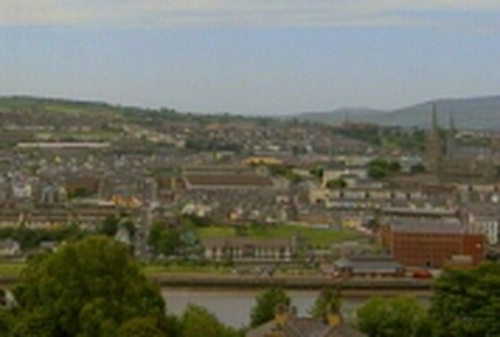 A lawyer for Derry council, Michael Lavery QC, said its view was that the Royal Charter had been amended by, and was subject to, the provisions of local government legislation. He said as a consequence, 'when the name of the council changed to Derry in 1984, the name of the city established by charter changed and therefore it is unnecessary to petition the sovereign in order to do so'.